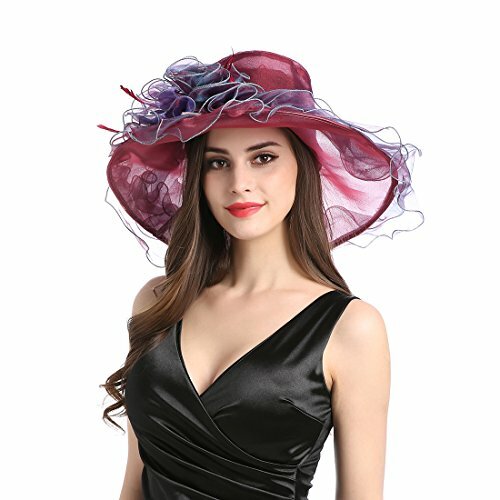 Suitable for photography, costume party, bridal party, wedding, church, cocktail party and tea party ,Wear it to parties, weddings, Christma for your mom on Mother's Day. 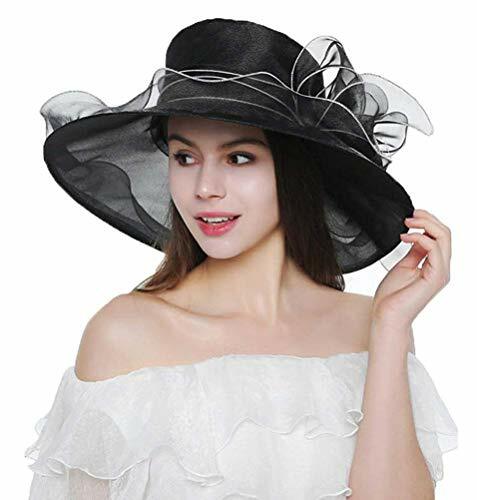 Material: This vintage glamour and fancy charming hat with it veiling and flush amount of boa feathers that cascade at the back with goose biot feathers forming ovals and that sways in the wind.Trendy style matches everything. One size fits all. Package: 1 Fascinator Hat, 1 headband,1 clips. Specification: Material: Satin and Feather. Camric. Organza. Size: Free size. Adjustable & easy to wear. One size fits most. Color Choice: Multi-color. Nice colors which could be worn with most any outfit. 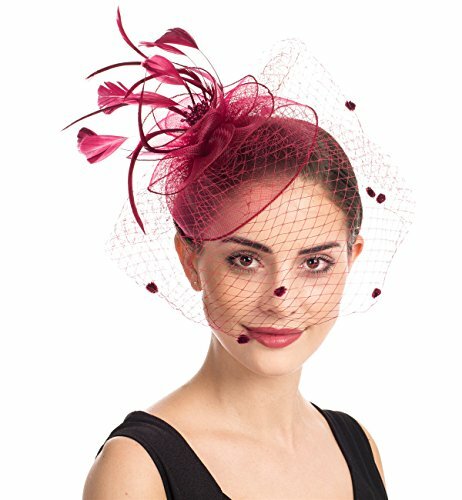 Features: *Top hair accessories for Thanks giving, Halloween costume, Christmas, New Year, themed cocktail tea party, church, Kentucky Derby, horses races, wedding, graduation prom, photograph, etc. 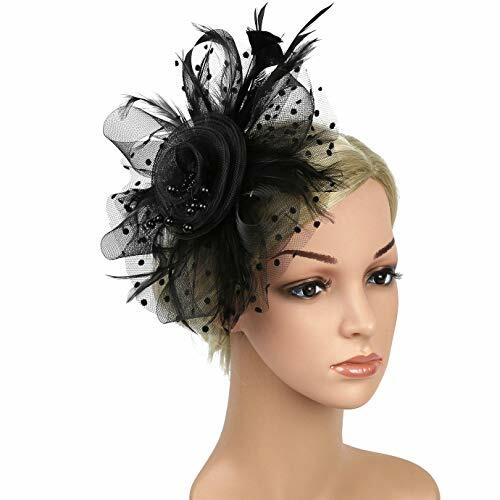 *High quality material of the fascinator will make you looks more elegant. *Stylish and noble, cleverish combination of knots and feathers. *Fit formal or normal occassions, super cute for the ensemble. *Great gifts for your girls, ladies, women, female friends, easy and comfortable to wear. 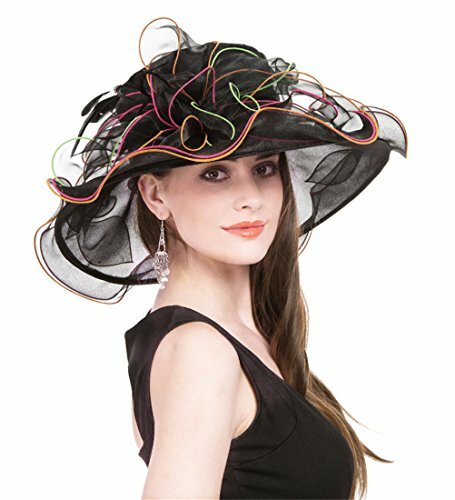 *This novelty headwear is really lovely and finished off your outfit beautifully. Warm Prompt: *Manual measurement may exist a few difference, please allow 1-3cm in size deciation. *Due to shooting light or angle, actual color may vary slightly from image. *Headpiece is Handcrafted by our staffs one by one, please allow a little difference. If you have any problem about the item, please feel free to contact us. Felizhouse is always here for you! 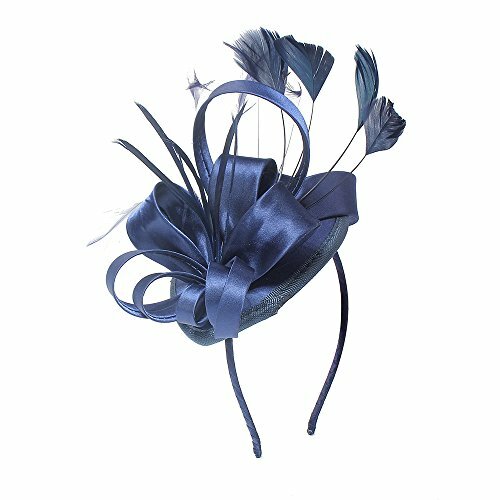 High Quality The cute headpiece is made of Satin and Feather, which make the fascinator hat looks substantial and vibrant. 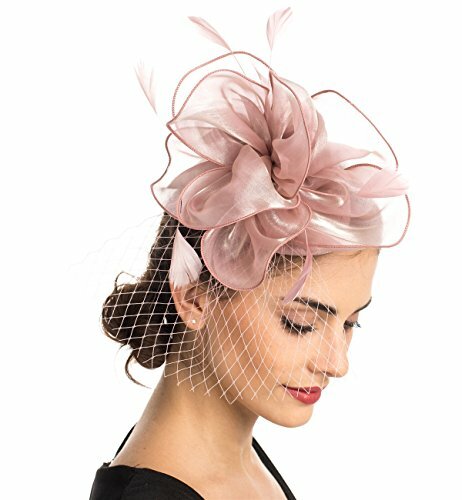 Our feather fascinators for women come with a head band and a hair clip, easy and comfortable to wear. 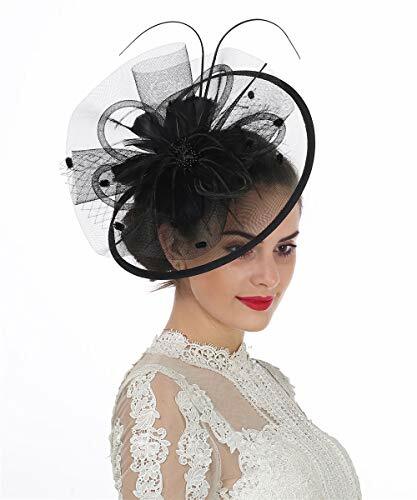 One Size Fits All Fascinator hat base diameter: 13.5x10.5cm (Approx); Hair band diameter: 12cm (Adjustable); Hair clip length: 5.5cm. 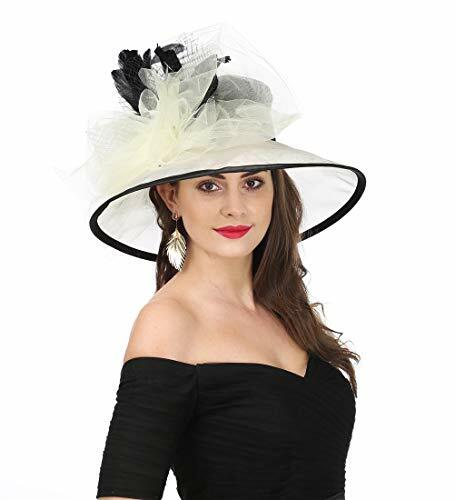 This headwear is not too big nor mini, fits both teenage girls and ladies women, long hairs and short hairs. Brand New Design The double bow knots with petals and the swing feather stand out your elegant and lively temperament. With the unique classy and beautiful design, you can choose your beloved color to match with both of your 1920s flapper vintage dress and modern fashion outfits or attire. Different Occassion This gorgeous hair accessory is suitable for female to attend a Horses Race, Royal Ascot, Christmas Party, Tea Party, Kentucky Derby, Wedding Bridal Shower, Church, Cocktail Party, Carnivals Performance or any other event. 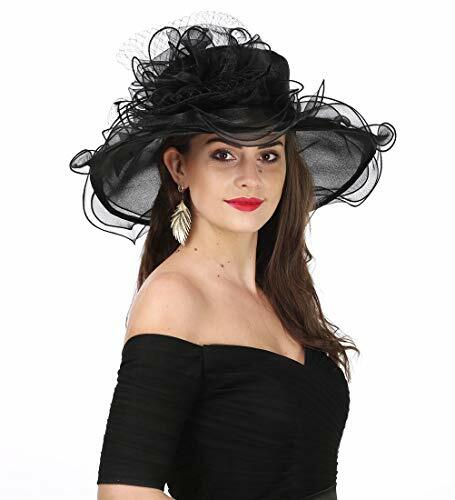 Fine Gifts The fascinator will be a great choice for your girls or lady, for your girlfriend on Valentine's Day, for your mom on Mother's Day. If you need to host a party, they will be wonderful party favors for your guests. 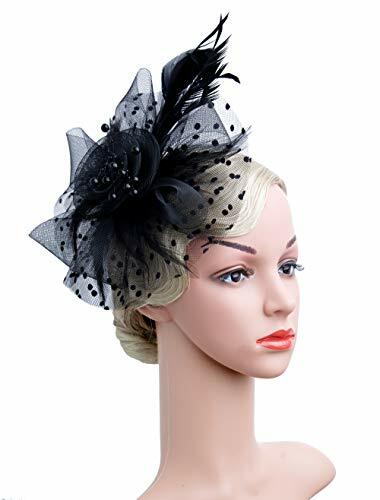 If you are going to parties or any special occasions then you won't miss the chic flower fascinators, it will add a lot of glamour and fancy charming for you.